We believe that each individual can share in all elements of living within their community. 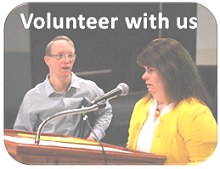 The Elmira District Community Living is a non-profit, charitable association founded in 1961 in order to ensure that persons with an intellectual disability should live in a state of dignity, share in all elements of living in our ‘community’ and have the opportunity to participate effectively. The purpose of this Association is to ensure that people with an intellectual disability will receive such education, training, and guidance as will enable them to develop to their fullest potential. To assist families to understand and aid their relative and to foster awareness within the community of the abilities and needs of its citizens who have an intellectual disability. Elmira District Community Living is recruiting for all part-time positions, see our career page for further details. The Government of Ontario is expanding ReportON, a new service for reporting suspected or witnessed abuse of adults with developmental disabilities. Click to see contact information. For News in Real Time!